In 1959, wealthy landowner and insurance magnate John D. MacArthur wanted to develop 4,000 acres into a garden city for 55,000 people. Before this, the land that was later to become Palm Beach Gardens was mostly cattle ranches, pine forests and swampland. When established, it was a paper town without any residents. In the 1960 Census it had an official population of one. By 1970, Palm Beach Gardens had nearly 7,000 residents. To celebrate his new community, MacArthur bought two banyan trees which can still be seen on MacArthur Boulevard and are featured on the city shield. Now, over 50 years later, Palm Beach Gardens is finally nearing MacArthur’s idea of making homes for 55,000 people! The 2010 census states that Palm Beach Gardens was home to about 48,000 people. Amongst these residents are the reliable moving company Lux Moving and Storage. All of our movers are long time residents of Palm Beach and are well-known in the community. Our mission is to provide the highest quality moving services throughout Palm Beach Gardens. For a moving company that values your items, time, and customer satisfaction, Lux Moving Storage is Palm Beach’s #1 choice! It’s estimated that the city of Palm Beach Gardens currently has approximately 54,000 residents. Palm Beach Gardens is home to the Professional Golfers’ Association in America. It is home to the Honda Classic since 2003. 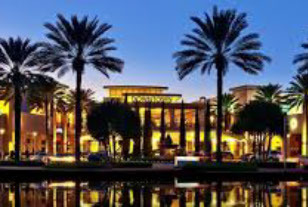 The open-air Downtown Palm Beach Gardens offers more than 50 retail destinations. Residents of Palm Beach Gardens enjoy its designated green spaces that account for 50% of land mass, Art in Public Places, golfing, and the PGA National Resort & Spa. As experienced movers familiar with the area of Palm Beach Gardens, we take pride in knowing that Palm Beach is our home and we’re fortunate to serve both residential and commercial moving services to everyone. 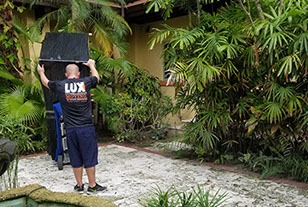 Servicing the Palm Beach Gardens area for over 13 years now, Lux Moving and Storage have come to know all of the 55 square miles of Palm Beach Gardens. We have left lasting impressions on the toughest client critics. All over the city we continue to go above and beyond customer expectations, making a standard practice out of our client’s satisfaction. Be one of many to have a truly great moving experience and reach out to us for your moving needs. Give us a call and see why Lux Moving and Storage is so highly recommended in the moving industry.